Image kindly provided by Xinhui. Chang Kuang-Ming was born in 1912 and was a native of Chang Ni in Hopei Province. He was a student in a normal college in Peiping (now Beijing) when the Japanese forced China into an unequal treaty in 1933. He was outraged and applied to join the air force as a pilot where he was one of 50 candidates selected out of over 5,500 applicants. He started flight training at Schien Chiao near Hangchou in January 1934. On 14 August the 4th PG moved to Schien Chiao when Japanese troops landed in Shanghai. With the 3rd and 5th PG, the 4th PG became the main force in the defense of Shanghai and Nanking. At this time he was 2nd Lieutenant and his unit was equipped with Curtiss Hawk IIIs. He took part in the first scramble from Schien Chiao on 14 August, but his unit arrived to late to intercept the Japanese bombers. During the night of 14 and 15 August the pilots of the 4th PG at Schien-Chiao airbase had to prepare their fighters themselves since the ground personnel had left the field to take shelter during the air raid on 14 August and had not returned. The pilots carried cans of fuel on their backs from the storage building to the field, punched holes on the cans and fuelled the aircraft themselves. They had not eaten since noon, and were not able to go to bed until 1:30 a.m. They did not sleep long because alarm sounded less than two hours later. In the early morning on 15 August Colonel Kao Chi-Hang led 21 Hawk III's from the 4th PG to intercept a dawn attack on Hangchow by twelve Type 89 torpedo bombers from the Japanese carrier Kaga. In the confused action in and out of clouds, the 4th PG made 17 claims, more than the total number of Japanese planes in the action. The actual losses were six shot down and two ditched in Hangchow Bay. Kao quickly shot down one of the Type 89's on the edge of the formation and then attacked another setting it alight. A lucky shot from the starboard quarter hit Kao in the right arm before passing through the instrument panel and damaging the engine in his Hawk No. IV-1. He was forced to land at Schien-Chiao and was out of action for 2 months. 21st PS's Squadron Leader Captain Lee Kuei-Tan in No. 2101 attacked the No. 2 Shotai, shooting down the No. 2 plane over Chao-Er. Two out of the crew of three were seen to bail out but they were over the Chao-er River and probably did not survive. Lee then teamed up with Lieutenant Cheng Hsiao-Yu of 22nd PS in No. 2202 to claim another Type 89. Return fire from the tightly packed Japanese formation was heavy and Lee's No. 2101 received slight damage to its upper wings while Cheng’s No. 2202 took a shot in one of its landing wheels. Cheng’s wingman, 2nd Lieutenant Chang Kuang-Ming also claimed a victory in this combat when he attacked the leader of a group of Japanese bombers. He opened fire with his two machine guns. Tracers and bullets truck his target, and the enemy plane turned into a fireball and plunged out of the sky. He broke off immediately and turned around for another strike. 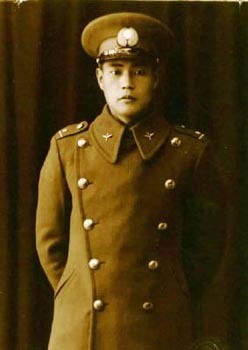 Lieutenant Huang Yan-Po in No. 2107 attacked the first Shotai, claiming to have shot down the No. 3 aircraft in flames. He too took a shot in the landing wheel. Lieutenant Tan Won in No. 2104 also attacked the same Shotai and claimed another Type 89. This may have been the aircraft of the Kaga's Commander, Air Group (CAG) Commander Iwai who was killed in this action along with his deputy. Lieutenant Wang Wen-Hua caught two Type 89's trying to attack Schien-chiao from the south and shot one down in flames. One of the crew, a young ensign, bailed out and was captured. (This unnamed ensign later defected to the Chinese side and helped translate decoded Japanese radio messages). Lieutenant Yuan Chin-Han in No. 2108 went after the No.1 Shotai in a formation and claimed to have shot down the leader in flames (this may also have been Iwai's plane, it is almost certain that many Chinese pilots shot at the same planes). Lieutenant Liu Chi-Sheng in No. 2102 also claimed one Type 89 over Woong-Chia-Fu but was hit in the fuel tank and force landed at Chaio-shi Airfield where his plane was further damaged by bombing. Lieutenant Le Yi-Chin from the 22nd PS made no less than 4 claims but these are almost certainly duplicates of other claims or overoptimistic. Deputy Squadron C.O. Lai Ming-Tang landed to refuel and took off again to claim a shared kill with his wingman Lieutenant Liang Tian-Cheng. Of the 23rd PS, Captain Mao Ying-Chu, Lieutenant Yang Yu-Ching and Lieutenant Wang Yin-Hua each claimed one Type 89. In February 1938, the 4th PG moved to Lanchou to convert to I-15 and I-16, and then flew to defend Hankou against Japanese attacks. As Japanese troop advanced on Wuhan, the temporary capital of the Chinese government, the 4th PG was made responsible for the air defence of the city and was based at Fencheng. On 18 February 1938 the Japanese attacked the town with a reported 16 bombers, escorted by 26 fighters. In fact the actual composition of the Japanese force was 15 G3M bombers escorted by 11 A5M carrier fighters. The G3Ms were from the Kanoya Kokutai and led by Lieutenant Commander Sugahisa Tuneru. The escorts were from the 12th and 13th Kokutais and led by Lieutenant Takashi Kaneko of the 12th Kokutai. According to Japanese accounts, there were low clouds over Wuhan, which caused a lot of confusion. Following warning from the air raid warning net, the Chinese interceptors began taking off at 12:45. First came eight I-15bis from the 23rd PS based at Hsiao-Kan led by Captain Lu Ji-Chun. Then came eleven I-15bis from the 22nd PS led by Captain Lee Kuei-Tan, commander of the 4th PG, which took off from Hankou Airfield at 13:00. Finally, ten I-16s of the 21st PS led by the commander Captain Teng Ming-Teh took off from Hankou Airfield at 13:10. 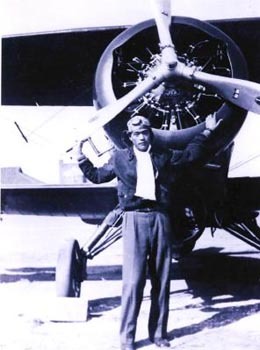 The first Chinese interceptors to encounter the Japanese were the I-15bis from the 22nd PS led by Lee’s flight, which included Lieutenant Cheng Hsiao-Yu in the no. 2 position, Lieutenant Chang Kuang-Ming as no. 3 and Lieutenant Pa Ching-Cheng as no. 4, were climbing steeply at about 1500 meters south west of the airfield three minutes after take-off. Japanese planes from the upper rear intercepted them from an altitude thought to be at 4000 meters. Other Chinese accounts indicate that six A5Ms attacked the first six aircraft in the Chinese formation and another 6 (sic) attacked the two flights of five bringing up the rear. It would appear that it was the 12th Kokutai A5Ms led by Lieutenant Kaneko that attacked Captain Lee and the first two flights of the 22nd PS. Other A5Ms, including those from the 13th Kokutai, attacked the two rear flights of the 22nd PS. Caught by surprise, the 22nd PS was hard hit and the Chinese planes were badly scattered. Badly shot up in the initial attack, Lee managed to regain control and headed back to Hankou Airfield. Witnesses on the ground saw him attempting to land his stricken I-15bis. Unfortunately, it would appear that Lee’s fuel tanks had been hit and were leaking because, while on final approach, the I-15bis suddenly burst into flames and crashed. Lee, the youngest Commanding Officer of the 4th PG at the time, was killed. Cheng and Pa were hit at the same time and spiralled down. Chang was attacked by three Japanese aircraft more than a dozen times. He damaged one of the enemy aircraft, and landed without injury to himself but counted over 210 bullet holes on his aircraft, including three rounds lodged in his parachute pack seat. Pa was killed when his aircraft crashed but Cheng spiralled down and landed safely. After landing he found his rudder cable severed by a Japanese bullet. At the rear of the 22nd PS formation, things were just as desperate when they engaged the Japanese at 3000 meters south-west of Hankou. Lieutenant Wang Yi was shot down and killed. Captain Liu Chi-Han, 22nd PS leader, claimed to have shot down the A5M attacking him in a turning fight. However, Liu’s own engine was also hit in the fight and it exploded shortly afterwards, forcing Liu to bail out. While descending in his parachute, two A5Ms came in to strafe Liu. Liu recalled that the Japanese bullets zipped by "like hailstones". After dodging couple of passes, Liu allowed his body to go limp and "played dead". Thinking that the Chinese pilot had been killed, the Japanese broke away allowing Liu to land safely. Lieutenant Li Peng-Hsiang, also in the rear of the formation, came under attack by a 13th Kokutai A5M flown by shotai leader PO1c Mitsuga Mori. Lieutenant Wu Ting-Chun tried to intervene by attacking from above and behind Mori. However, Mori turned sharply away from the attack, causing Wu to collide with Li. Wu managed to bail out and survive but Li was killed. According to other sources Wu claimed to have downed a Japanese fighter, and then crashed into another one. On returning, Mori claimed to have downed two other I-15bis (his first 4 victories of a total of 9 – 4 in China). Feng Yu-Ho claimed two Japanese aircraft and Chang Ming-Sheng claimed a Japanese light bomber. 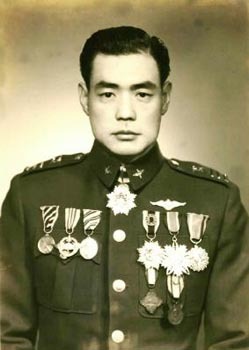 Arriving from Hsiao-Kan, the 23rd PS I-15bis led by Captain Lu Ji-Chun saw the surviving 22nd PS planes being chased all over the skies by the Japanese A5Ms. Joining the melee, the eight I-15bis of the 23rd PS took the heat off the 22nd PS, allowing the badly mauled survivors to escape. The Japanese A5Ms, having come off their success against the 22nd PS, were fighting well with their flights largely intact. The 23rd PS soon found themselves at a disadvantage. It would appear that the Chinese fighters were not able to effectively support each other in the fight. Once again, individual Chinese fighters found themselves under attack by flights of three A5Ms. Somewhere in the melee, Captain Lu was isolated, shot down and killed. Lieutenant Wang Yu-Kun, after claiming to have downed two A5Ms, came under attack by three others. Wang’s controls were shot away and the I-15bis went into a long glide towards fields north east of Wuhan. The Japanese planes continued to fire on Wang’s plane but, fortunately, the Chinese pilot was not hit. The I-15bis eventually crash-landed in a field, Wang was knocked unconscious but he survived with only a bruised right leg. Liu Chung-Wu and Hsin Sau-Chuan each claimed a victory. Hsin was so close to the Japanese aircraft he shot down that lubricants of the Japanese aircraft splashed on his windshield and totally obstructed his vision and he had to break off action. Just as it appeared that the 23rd PS was going to suffer the fate of its sister squadron, the tables were turned with the arrival of ten I-16s from the 21st PS. Having climbed to 3500 meters north-west of the airfield, the 21st PS led by Captain Teng, saw the A5Ms dive from approximately 4000 meters altitude and attack the 22nd PS south west of Wuhan. Arriving on the scene with an advantage in altitude, the I-16s were able to surprise the Japanese, which were tangled in a dogfight with the 23rd PS. This time, it was the turn of individual Japanese fighters to be attacked by the Chinese in flights of three. Lieutenant Liu Chi-Sheng scored a solo kill and then joined Captain Teng and Lieutenant Yang Ku-Fan to attack another A5M which was engaged in a turning fight with Lieutenant Liu Chung-Wu of the 23rd PS. Together, the four Chinese fighters shot down this hapless A5M. Lieutenant Yang Ku-Fan then joined with Lieutenant Li Wen-Hsiang, Lieutenant Wang Teh-Lian and Lieutenant Han Sen to down another A5M. Finally, Lieutenant Huang Yuan-Po, Lieutenant Wang Teh-Lian and Lieutenant Kung Yeh-Ti combined to down a fourth A5M. Soviet volunteers also took part in this combat and according to the recollections of the volunteer Aleksey Dushin, about 10 o’clock in the morning they took off on an alert and at an altitude of 4500 m found themselves under cumulus clouds. An arrow on the ground pointed out the direction from which the Japanese would appear. After a ten-minute flight along this course they turned and flew back, and straightaway they discovered about 1500-2000 m beneath them, three flights, each of nine Japanese bombers flying in a tight formation. Moments later Japanese fighters appeared flying above the clouds. They began to dive on the Soviet volunteers on a meeting course, with the initiative remaining with them. Three Japanese attacked Dushin, and consequently he shot at all three. A cone of bullets, in his words, found one aircraft, but it did not burn. Two A5Ms began to fire at him, but he was rescued by the manoeuvrability of the I-15bis. Dushin was able to escape from them by diving, but on the way out the third Japanese caught him. But an I-16 came to his rescue, which later turned out to have been flown by Aleksey Blagoveshchenskii (or Ivan Puntus according to other sources). Dushin then chased after “his” Japanese and opened fire at a distance of 25 meters. But the guns suddenly ceased, out of ammunition. Nonetheless the A5M made an unnatural climb upward and vanished from the pilot’s field of vision. Several days later a Japanese fighter was found in this region, in Dushin’s opinion, the very same one. Blagoveshchenskii fought an air-combat with a leader of a Japanese group of fighters and he shot down the Japanese fighter. His own fighter was however damaged and he suffered from a damage control stick, hits on the armour plate and tears on his flight suit. It seems that Georgii Konev claimed an enemy aircraft in this combat while flying an I-16 and Ivan Puntus claimed an A5M. Leytenant Dimitriy Kudymov (I-16) also claimed an A5M. In this combat was the commander of the I-15bis squadron N. A. Smirnov killed together with a second volunteer. After the death of Smirnov the commander officially became A. S. Zingaev, though the “chief” of the group remained Blagoveshchenskii himself. Totally the Soviet volunteers claimed five victories in this combat. Four Japanese pilots were lost in this combat. They were Lieutenant Takashi Kaneko (Class no. 57), leader of the escorting fighters, PO1c Shigeo Miyamoto (Otsu 1), Sea1c Hiroji Hayakgawa (Pilot 29), all from the 12th Kokutai and PO1c Inao Hamada (Pilot 34) of the 13th Kokutai. In addition, one A5M from the 13th Kokutai was damaged and the pilot, NAP3c Airora Sao, badly injured by two bullets. For their part, Japanese pilots claimed a total of 15 I-15bis (including one probable), two I-16s and one SB. The Chinese pilots totally claimed at least twelve Japanese aircraft in this combat. Captain Lee Kuei-Tan, Captain Lu Ji-Chun, Lieutenant Pa Ching-Cheng, Lieutenant Wang Yi and Lieutenant Li Peng-Hsiang were killed during the battle. In March and April 1938, the 3rd PG based at Hsaio Kan and the 4th PG based at Hankou with a combined strength of over 40 I-15bis’ made long-distance flights to provide ground support for the army in the raging battle near Tai Er Chuang in southern Shantung Province. At 03.00 on 9 April, Liu Chi-Han’s 22nd PS and Liu Chung-Wu’s 23rd PS took off from Hankou to bomb Japanese positions near Tai Er Chuang. At dawn they refuelled at Zhumadian and landed again at Kuei Teh to be refuelled and bombed up, each plane carrying four 25-kg fragmentation bombs. They then flew towards Zaozhuang and Tai Er Chuang to attack Japanese positions. Because of the limited range of the I-15bis they could only spend 15 minutes in the target area. After the planes refuelled at Kwei Teh and took off for Chou Chia-Kou, they saw six Japanese biplanes and three monoplanes over the field, but they did not attack. That night, they received an order to attack Tai Er Chuang again on the following day. They took off in the early morning of 10th April, refuelled and bombed up at Kwei Teh, and carried out their mission of bombing and strafing Japanese positions. On the way back to Kwei Teh, the 23rd PS sighted enemy aircraft and veered off. Then the 22nd PS encountered enemy planes, and both sides mixed up in a melee. Chang Kuang-Ming lost sight of other planes momentarily after making a steep climb, and then witnessed dogfights between six Chinese aircraft and six Japanese Type 95 biplanes. The performance of the Type 95 and the I-15bis were about the same and both sides were chasing and making tight turns, but did not have a chance to get a clear shot. Most Chinese aircraft were low on fuel and had to break off action. Chang saw a Japanese monoplane (Nakajima Type 97) chasing an I-15bis at high speed, and dove after the Japanese aircraft. It turned to evade him and hit the tail of the I-15bis, and both aircraft tumbled out of the sky. Then Chang was attacked by three Type 97s from above. He took evasive action, flipped over, made a half roll and tried to climb, and then was hit by enemy gunfire. The aircraft went into a corkscrew, and Chang became dizzy and lost his vision. The throttle control became totally unresponsive. He could feel hot lubricant slopping on his legs and feet. He knew the aircraft could catch fire any moment and decided to bail out. He released his lap belt and shouldered his way out of the cockpit door. He spun out in the air and the objects he carried in his leg pockets, including map, protractor, ruler, pen, goggle and revolver, all flew out into the air. Chang bent his legs and put his arms below his knees to stop the spinning. He estimated that he had fallen from 6000 meters to 3000 meters and pulled the ripcord. The parachute opened with a big thump. As he descended slowly, he was dreading that he would land to the north of the Yellow River occupied by the Japanese. Images from his past went through his mind. Suddenly, he regained some vision. From pitch black, he began seeing things in deep yellow, and then light yellow, and he saw the deep blue sky turn into light blue. His joy suddenly turned into fright as he saw three Japanese aircraft flying towards him, with guns blazing. In the first attack, tracers burned several holes on his parachute and severed five cords. The parachute went lop-sided, accelerated its downward decent, and swung left and right. The second aircraft attacked and severed three more cords. The swaying and acceleration increased. The Japanese planes left him only when he was near the ground. Chang fell on a vegetable field in Hsia Yi County east of Kwei Teh. He injured his lower back on landing, and the injury bothered him all his life. The villagers told him a Japanese aircraft and a Chinese aircraft had crashed about a mile south of the village. Chang rushed to the scene of the crash, and found Chen Huai-Min of the 23rd PS. The tail of his aircraft was damaged when a Japanese aircraft collided with him and he bailed out. He was also shot in the leg and he had used his shirt as a tourniquet. There was no medical facility in the village. Chang got an oxcart from the village and spent all night to get Chen back to Kuei Teh Air Base, and then transferred him to a hospital. He then found a damaged I-15bis from the 3rd PG at the base with the main strut damaged by bullets. As he did not want to spend two days and two nights on a train to Hankou, he flew the damaged plane back at low speed and high altitude. His squadron mates had given him up for dead after two days, and were overjoyed to see him back. According to other sources it was Chen Huai-Min who crashed his aircraft into Japanese aircraft, not the other way around. Chang served in combat units for over five years. In 1942 he was sent to Ili in Sinkiang as a combat instructor. A year later, when American-supplied planes were shipped to Yunnan, he led his trainees back to the battlefield again. He led the first Chinese military unit back to Nanking when the Japanese surrendered in September 1945. Chang Kuang-Ming ended the war with 1 biplane victory. 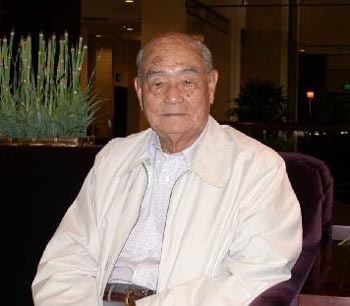 When the Nationalist government moved to Taiwan in 1949, he served in various capacities, including the director of political affairs in the Air Force Combat Command, Wing commander and Director of the Inspector General’s office. Chang Kuang-Ming retired in 1969 as a Major General. He moved to the United States in 1975. Chang Kuang-Ming is today 93 and still alive as of December 2010. (a) Claimed in combat with Type 89 torpedo bombers from the Japanese carrier Kaga. The Chinese pilots claimed 17 destroyed enemy aircraft but the actual losses were six shot down and two ditched in Hangchow Bay. Claimed as a Type 88 biplane bomber. This claim is not confirmed with official Chinese records. (b) Claimed in combat with A5Ms from 12th and 13th Kokutais, which lost four A5Ms with a fifth damaged while claiming 15 I-15bis (including one probable), two I-16s and one SB. The 4th PG claimed at least 11 A5Ms (and one damaged) and one light bomber while losing at least nine I-15bis (no I-16s) and getting one I-15bis damaged. The Soviet volunteers claimed 5 victories while losing two I-15bis. Most information kindly provided by Raymond Cheung and Tom Chan. Additional information kindly provided by Erich Wang.